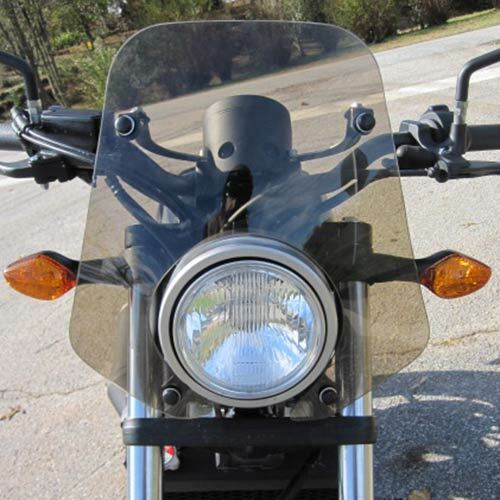 Parabellum designed a Flyscreen and a Sport Touring windshield for the bare Honda 500. The Parabellum Flyscreen is 8 inches tall with a maximum width of 15 inches tapering to 9 inches wide at the top. It is made from 1/8 inch thick cast acrylic and comes complete with hardware that attaches to handlebar clamps and the headlight bolts. 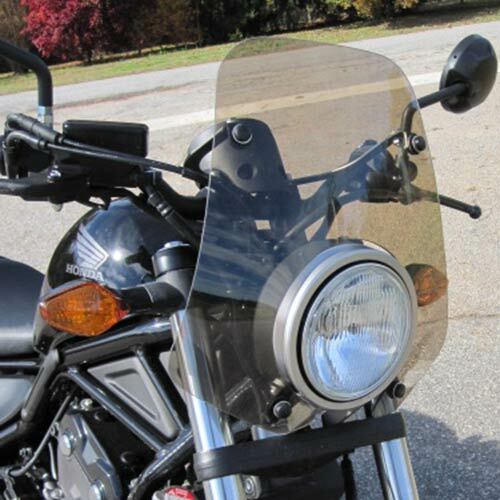 The Parabellum Flyscreen gives good chest protection while still allowing your head to be in clean air and is offered in clear or tint.